Everything you need to know about the new operating system for Apple's iPhones and iPads -- including what won't be available yet. Apple Inc.'s (AAPL - Get Report) newest operating system, iOS 11, officially launches on Tuesday Sept. 19, with updates usually appearing on phones around 1 p.m. ET (some lucky users were able to download it last week, however). The new OS promises a slew of shiny new features for the iPhone and the iPad, including support for ARKit, Apple's suite of tools that lets developers create augmented reality-powered apps. Apple first announced iOS 11 at its Worldwide Developers Conference in June, releasing a beta version for those brave enough to download it (and potentially lose all their apps and data). For iPhone users, some of the updates include a new control center, lock screen and iMessage app features (the ability to pay fellow iPhone users directly via iMessage is being delayed till the fall). Apple has much bigger plans for iOS 11 on the iPad, however. 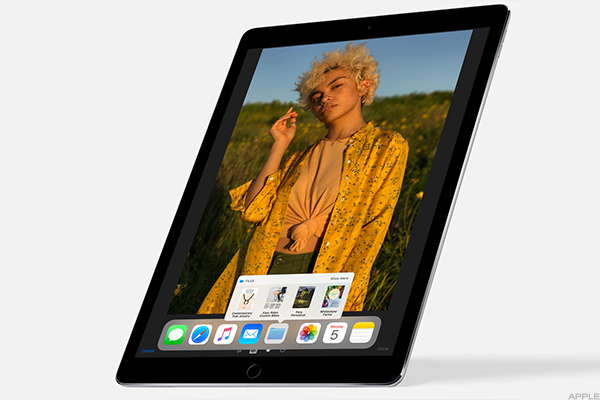 With the new update, the tech giant is making the case for why the iPad should replace the traditional laptop. It remains to be seen whether Apple will succeed, but new features such as the Files app and multitasking capabilities might push consumers that much closer to ditching their PC or Mac. 1. 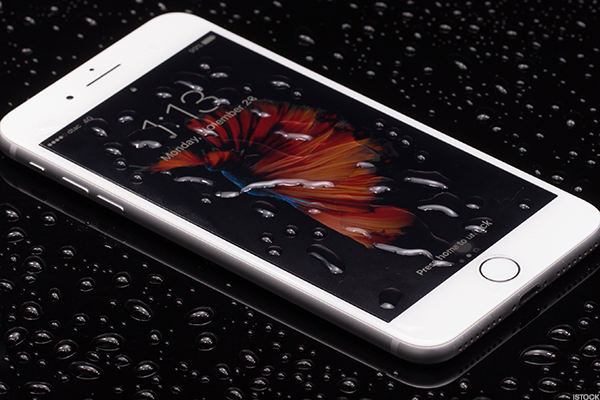 Interacting with Siri just got easier. Apple's Siri voice assistant will now be a lot more intuitive. It can give follow-up questions to queries, translates words to multiple languages and suggests things you might like based on what you're doing, like music or news. 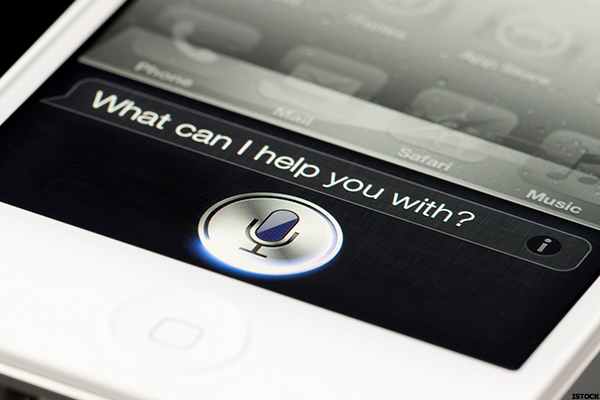 Siri's voice will also sound a bit more natural and human-like thanks to a small update. Users can also type questions to Siri without speaking, which might seem like a step backward, but could actually prove to be handy if you're in a place where talking out loud is inconvenient. 2. The Control Center looks simpler and can be customized. In iOS 10, the iPhone Control Center that you swipe up on an iPhone or iPad to access was somewhat cluttered and confusing, but that changes in iOS 11. The Control Center goes from three panels to a single panel, meaning that all your favorite functions are in one place. The Control Center can also be customized to include all the buttons you do (or don't want) in there. Some of the new buttons include a built-in Apple TV remote, the ability to turn on low batter mode, HomeKit controls and a Do Not Disturb While Driving function, among others. Old favorites like the camera, flashlight and calculator can still be kept in the Control Center. 3. Apple Pay is coming to iMessage -- but not right away. iMessage isn't going to look dramatically different in iOS 11, but Apple did add a few handy new features. QuickType makes it easier to type with one hand can be accessed by holding down the emoji icon, which shifts the keyboard over to the right and closer to your thumb. 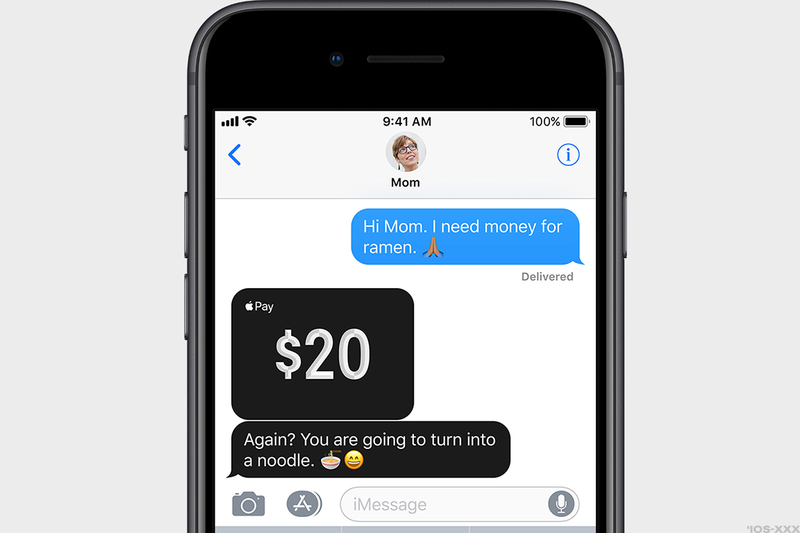 Apple Pay is also coming to iMessage, which could be nice for users who don't want to switch over to a whole new app (like Venmo or Google Wallet) in order to send money instantly to their friends that are iPhone users. The feature was supposed to launch with iOS 11's initial release, but Apple has now delayed this to the fall, and will include it in the new Watch OS4 as well. To start a transaction, users click on a dollar amount, which triggers Apple Pay inside iMessage. 4. New augmented reality experiences. 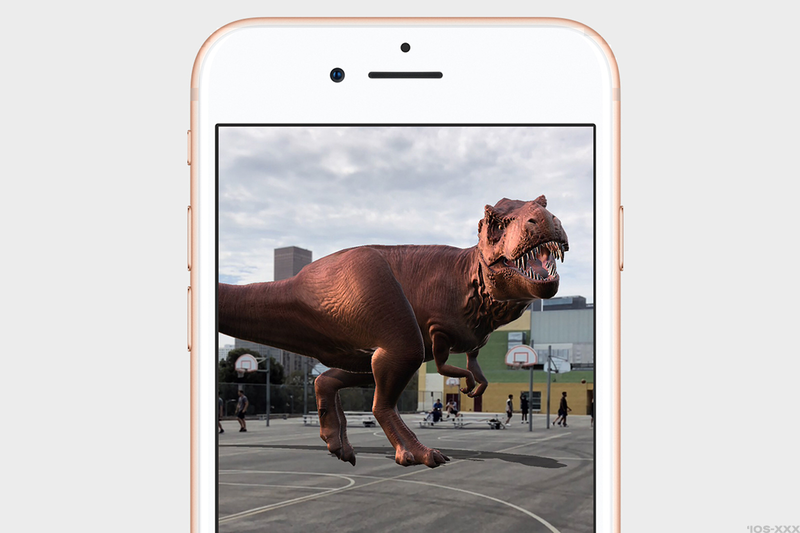 New apps built by developers using Apple's new ARKit will be available for the first time, allowing iPhone and iPad users to view virtual content on top of real-world images for immersive gaming and shopping experiences, among other uses. The technology uses the device's built-in camera, processors and motion sensors. 5. A revamped App Store. 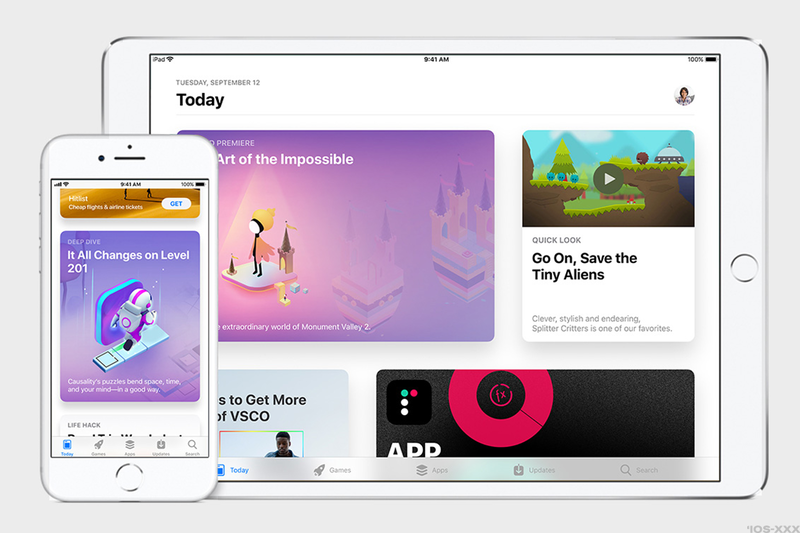 The latest version of the App Store is designed to make discovering new apps and games much easier, and includes stories and interviews about iOS developers and their work. 6. Apple makes it even easier to multitask on the iPad. 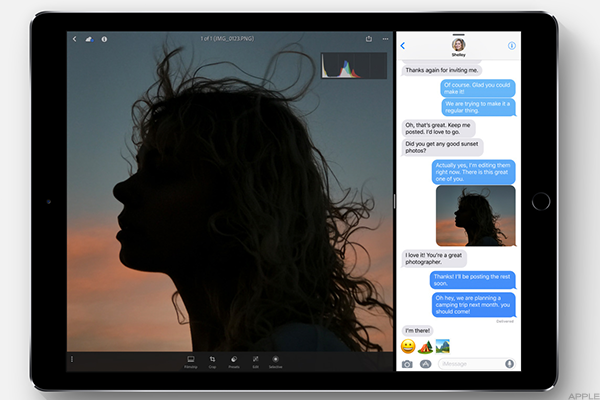 Apple released split-screen capabilities for the iPad in iOS 10, but the process gets even easier in iOS 11, thanks to a couple of updates. Users can now multitask between three apps instead of just two. To do that, just drag an app up from the dock and release it on the right or left side to be in split-screen mode. The "slide over" function is similar, but makes each app appear like a skinnier panel, rather than a full window, and can accommodate up to three apps. 7. Easily drag and drop files from one app to another. 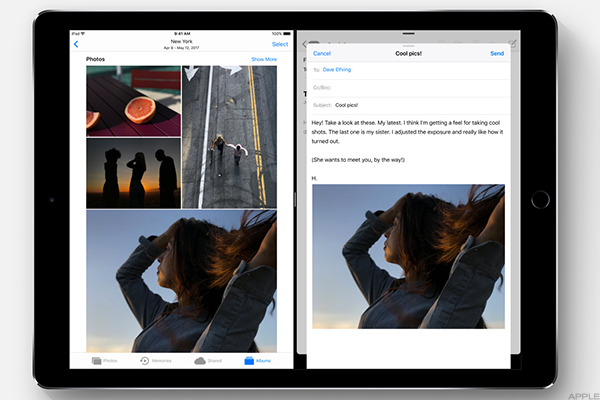 It's pretty straightforward, but now you can drag and drop files (photos, documents, etc.) from one app to another. What's new and cool about this feature is the ability to drag and drop links, which eliminates some of the need to copy and paste, if you're feeling really lazy. For example, users can click on a photo and drop it into the Mail app, which will automatically open a new message. 8. Finally keep track of all your files in one place. Apple generated a lot of fanfare at WWDC with the release of the Files app. Files is very similar to Finder app on macOS, or the File Explorer in Windows, in that it gives users access to local files and cloud storage. Apple said it supports cloud services like DropBox, Box and iCloud Drive (though no mention of Google Drive, unfortunately). The Files app seems like Apple's most obvious attempt to make the iPad seem more like a laptop. 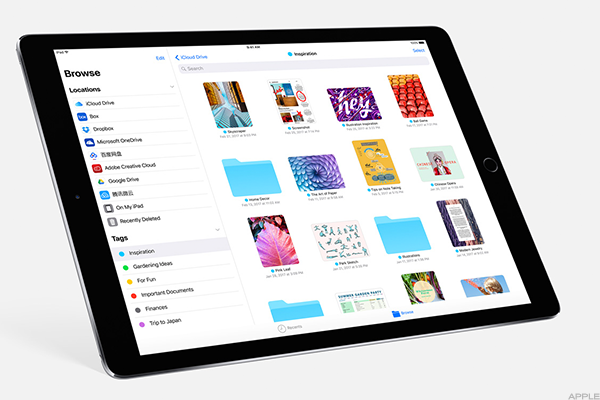 The folder layout is similar to what you might view on a desktop and makes file management that much easier to do on an iPad. 9. An expanded Dock that can be accessed on any screen. Apple made a whole new Dock for the iPad in iOS 11. Before now, users could only access the Dock from the iPad's home screen, but now it can be accessed on any screen just by swiping up. Up to 13 folders or icons can be added to the Dock and Apple also created "intelligently suggested apps," which adds your most recently used applications automatically to the Dock. In all, it makes the iPad seem that much closer to being like a mini MacBook.